Industrial aluminium platform steps built and certified to BS2037 Class 1. Robust and incredibly sturdy stepladder incorporates comprehensive tool tray for convenience. Lightweight and easy to carry. Certified to BS2037 Class 1. 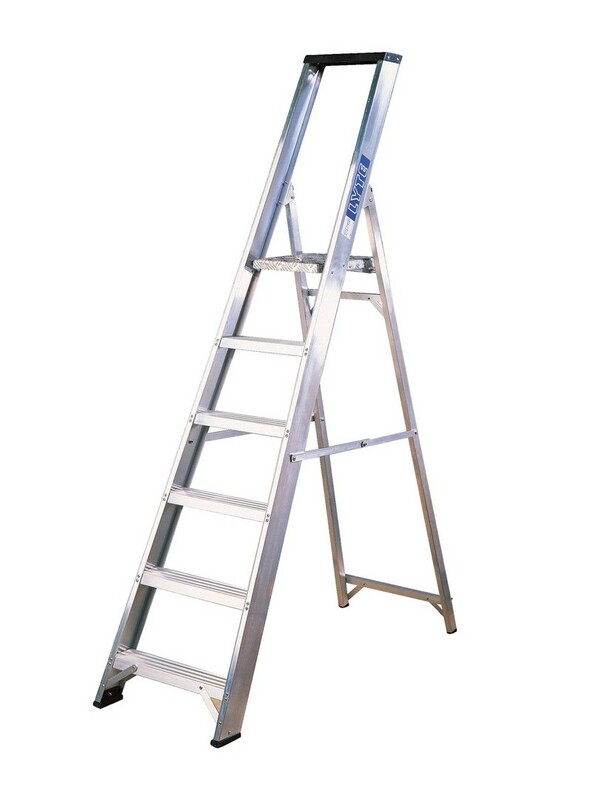 Industrial aluminium step ladder built with non-slip treads rubber feet and aluminium side arms to prevents slips and twists. Plastic tool tray incorporated.